Today was supposed to be day. 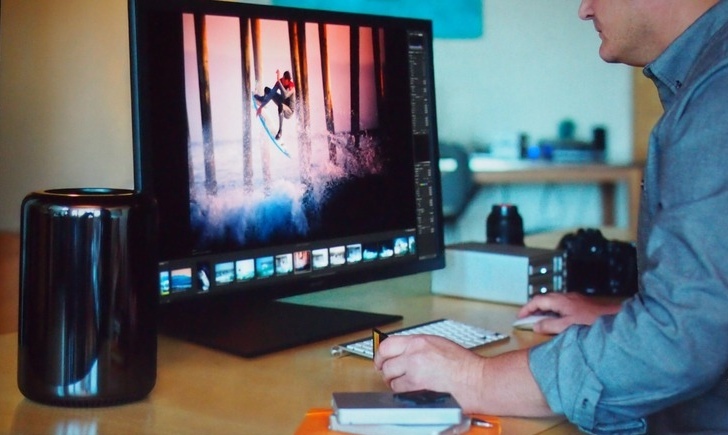 Apple’s often vocal professional video and image editing customer base has waited years — the last substantive Mac Pro update was in 2010. However, it seems that they will have to wait just a little bit longer. 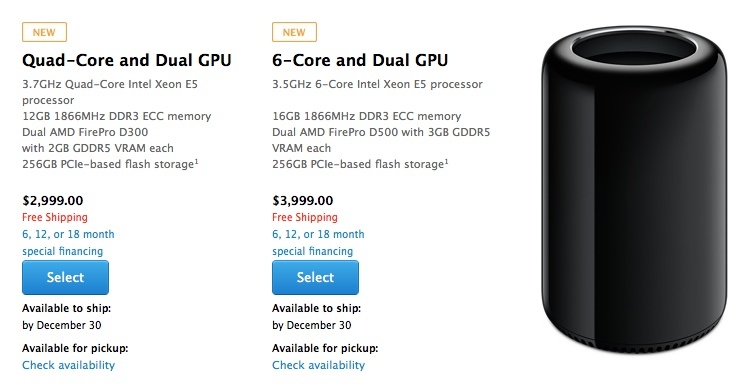 While Apple is taking 2013 Mac Pro orders today, delivery won’t happen until just before the New Year. While Apple promised that the 2013 Mac Pro would be available today, it appears what they really meant to say was that it would be available to order. As of this writing, customers placing an order today can only hope their chunk of anodized black Aluminum will ship on December 30. Further, a quick check of five popular Mac resellers — MacConnection, B&H Photo, Amazon, Best Buy and MacMall — yielded only one site that even lists the 2013 Mac Pro — MacMall. Visitors to that site are encouraged to call the reseller for details. For what it’s worth, MacMall is offering up to a $1,000 trade-in allowance for 2010 Mac Pro. Unheralded, at least as of this writing, is the arrival of new versions of Final Cut Pro X, Motion and Compressor. Apple had promised updates that would be tuned for the 2013 Mac Pro and those have, indeed, now appeared on the Mac App Store. Also unannounced by Apple, though available nonetheless as build-to-order option, is a 32-inch Sharp 4K display (PN-K321), which is priced at a princely $3,595. 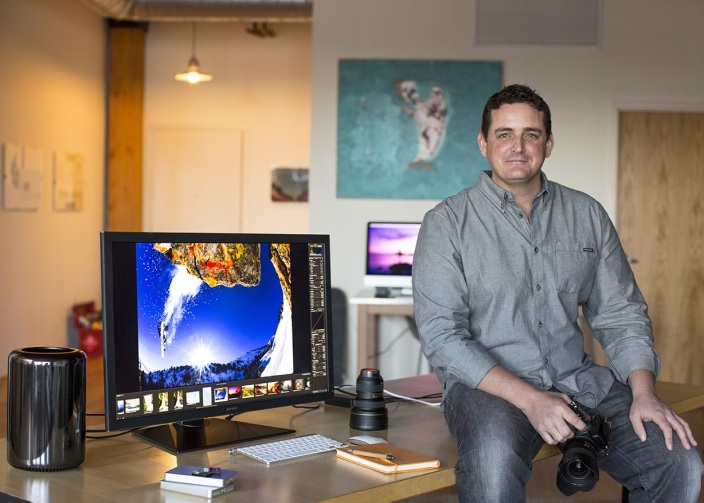 It has been speculated that select professional video and image editing pros, like photographer Lucas Gilman (above), would receive 2013 Mac Pros before members of the general public.